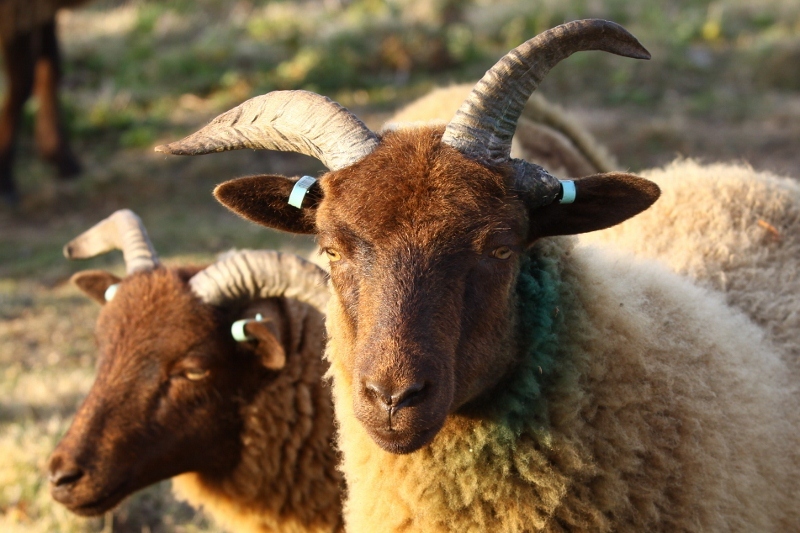 The Manx Loaghtan is a breed of sheep native to the Isle of Man characterized by dark brown wool and typically having four horns. Some individuals may even have six horns. 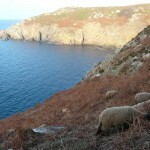 Although not native to the British Isles, the Manx Loaghtan is descended from the primitive sheep once found throughout Scotland, the Hebrides and Shetland Islands. The name Loaghtan is from the Manx words lugh dhoan meaning mouse-brown. 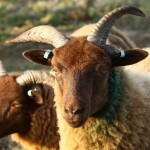 The Loaghtan is believed to be the closest surviving relative of the now extinct Jersey sheep. 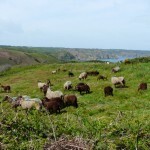 In 2008 the National Trust for Jersey began a programme of introducing loaghtans into the Island for coastal grazing, a traditional method of vegetation control in the north of Jersey. 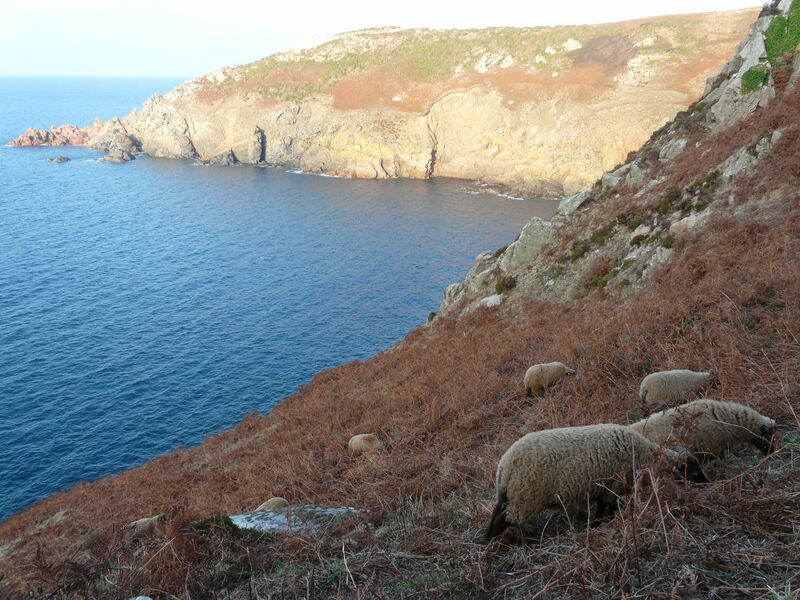 Today this fascinating sheep can be seen at close quarters along the coast between Sorel Point and Devil’s Hole including in the Trust’s site at Don Paton. 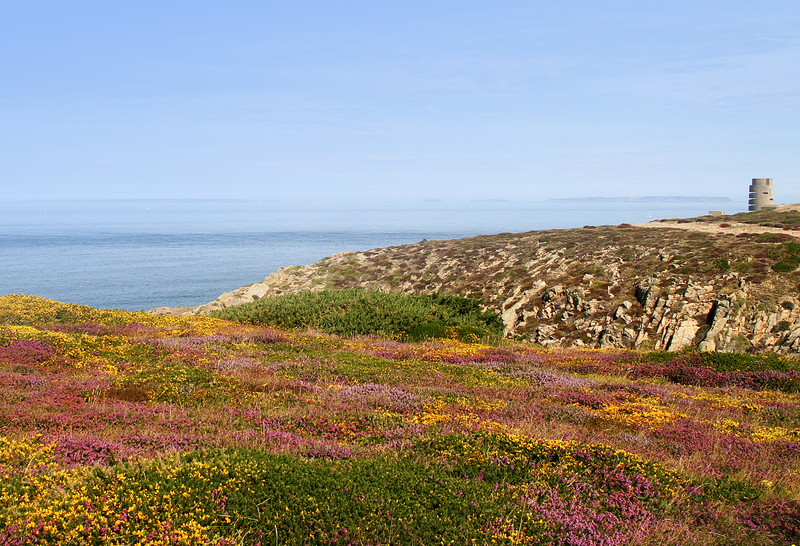 The loaghtans are very tough and are happy to live out on the cliff tops all year. The flock, managed by local shepherd Aaron le Couteur (CS Conservation), often splits up so that small groups of sheep can be in many spots in the conservation area. Aaron takes the ewes out of the area to lamb in early spring bringing bigger numbers back to work on their grazing later in the year. Remember – if you have a dog, always keep it under control when visiting the area. 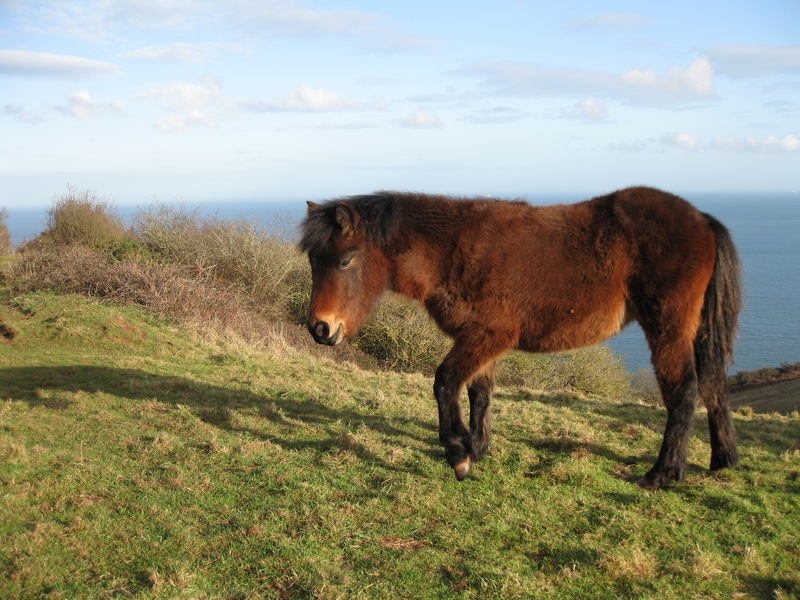 The Exmoor pony is a very long standing member of the British Isles fauna. 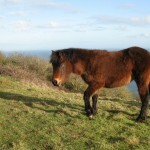 This hardy horse lives semi-wild on Exmoor in Devon and Somerset and is today considered to be an endangered breed. 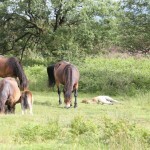 Although very rare this pony is a popular animal with habitat restoration projects. 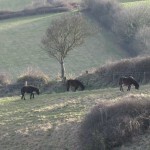 Ponies are being used for winter grazing in areas like the chalk grasslands of the Sussex South Downs and for summer heath-grazing in parts of Ashdown Forest. The smaller but equally hardy Dartmoor pony is from south Devon where it too lives in semi-wild conditions on the often very bleak moorland. 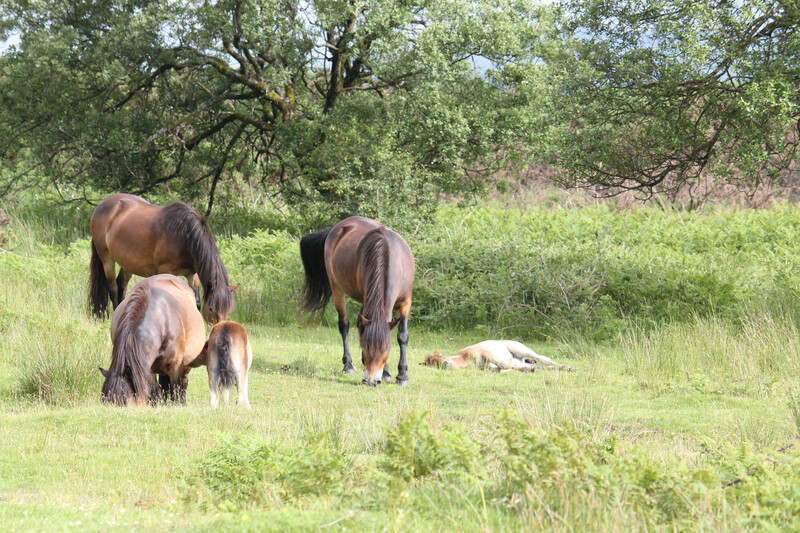 Dartmoor ponies are also good heathland grazers and are used by many restoration projects such as that on the RSPB reserve at Labrador Bay in Devon. Ponies are a good grazer as they are very selective feeders and compliment sheep and cattle. In low densities they do not disturb the ground as much as other grazers. The RSPB at Labrador Bay use ponies so that the scrub cleared does not just grow back achieving a mosaic of open grassland and scrub across the Labrador Bay reserve. 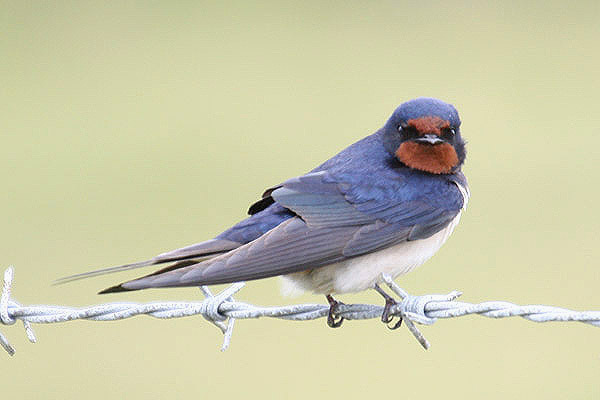 This provide s fantastic habitat for insects, plants and birds, in particular the cirl bunting. 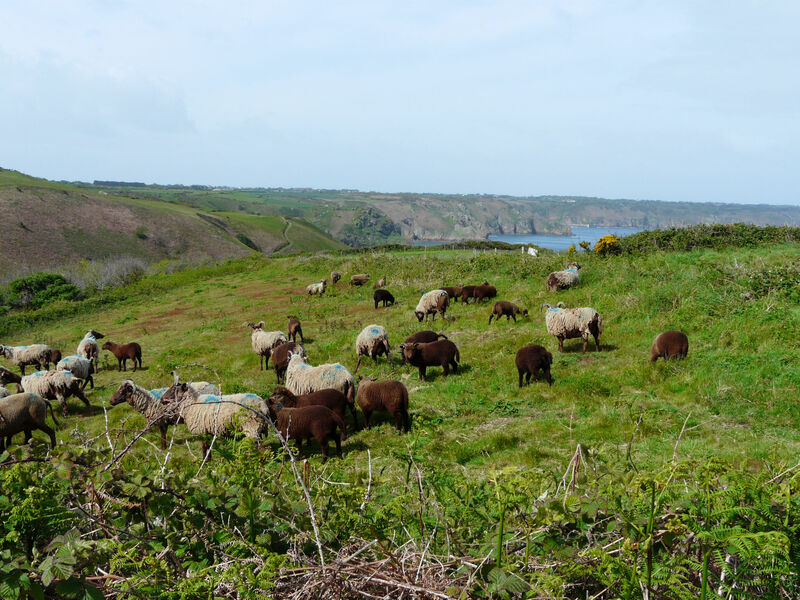 Currently there are no ponies being used in the restoration programme in Jersey; however, this is something that will be reviewed as the programme develops. 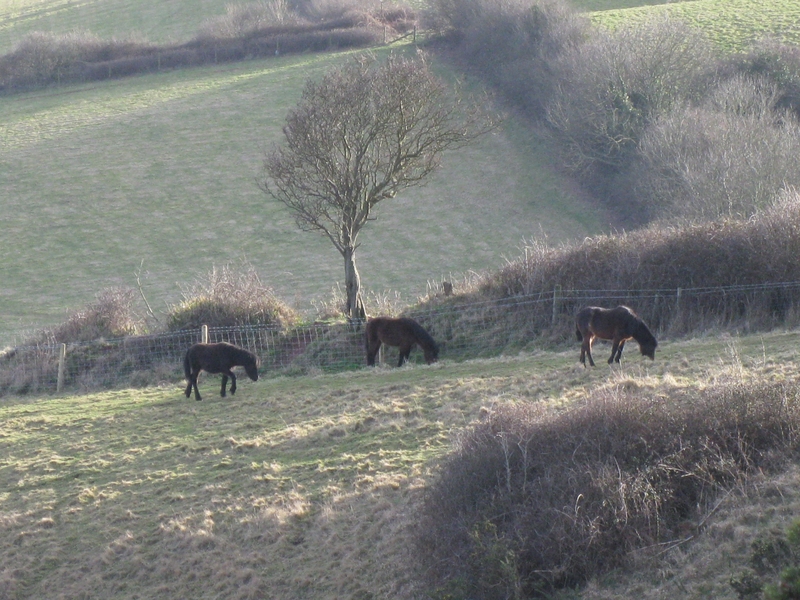 We are sure that Exmoor or Dartmoor ponies would become an extremely popular addition to our team.